A legislative committee studying Iowa’s opioid epidemic heard testimony today on a serious side effect of increased heroin use in the state. Addicts share needles to shoot heroin, and public health experts say that has contributed to a large increase in hepatitis C cases in Iowa. and approve needle exchange programs. A study by the Iowa Department of Public Health concludes that over the last four years, nearly 60 percent of Iowans seeking treatment for opioid abuse use needles to inject heroin. IDPH reports a 200 percent increase in hepatitis C in Iowa over the past 16 years. "We have about 2200 people per year getting a diagnosis of hepatitis C now,” said IDPH Bureau Chief Randy Mayer. “That makes it third on our list of reportable infectious diseases in the state." Mayer says many more are likely infected but not diagnosed. Ziegenhorn says other states have responded to similar outbreaks. 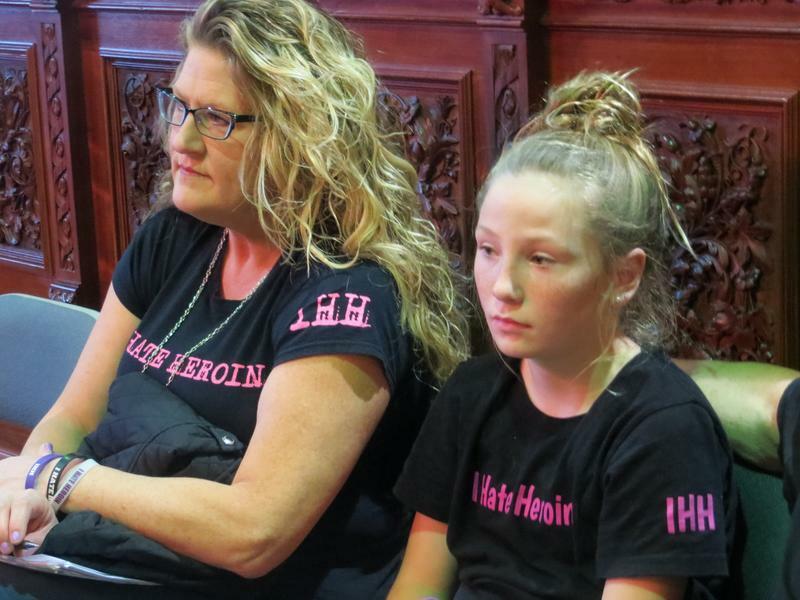 Ziegenhorn cites a national study showing more opioid addicts are choosing heroin first, rather than initially becoming hooked on prescription painkillers. “The tide is shifting,” Ziegenhorn said. More than 200 people died from opioid use last year, and in some parts of the state, by the end of this year the total number of overdoses will double. 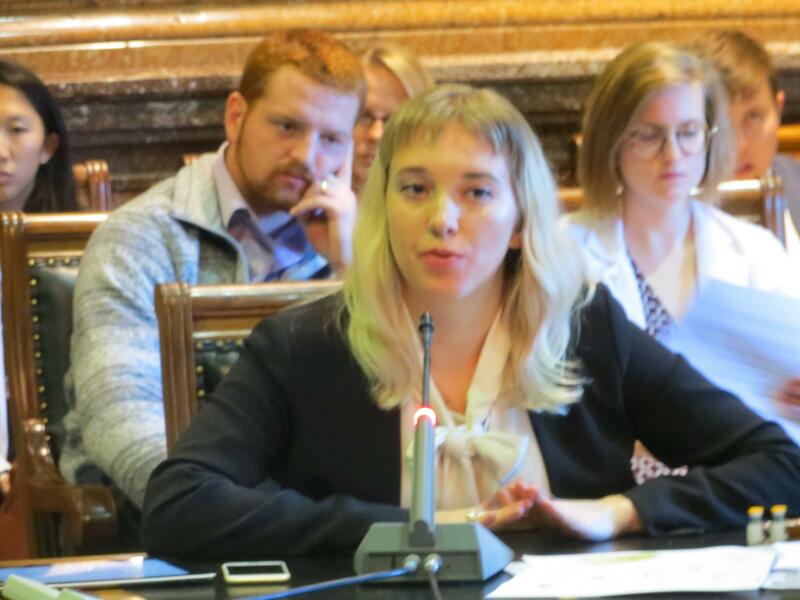 A statehouse committee heard two days of testimony on the growing number of deaths from prescription painkillers and heroin in Iowa. Health care providers urged legislators to expand treatment to those addicted to opioids. Mike Polich heads the UCS Healthcare drug treatment center in Des Moines. He showed lawmakers a photo of patients standing in line to get methadone, a drug that helps addicts get off heroin. 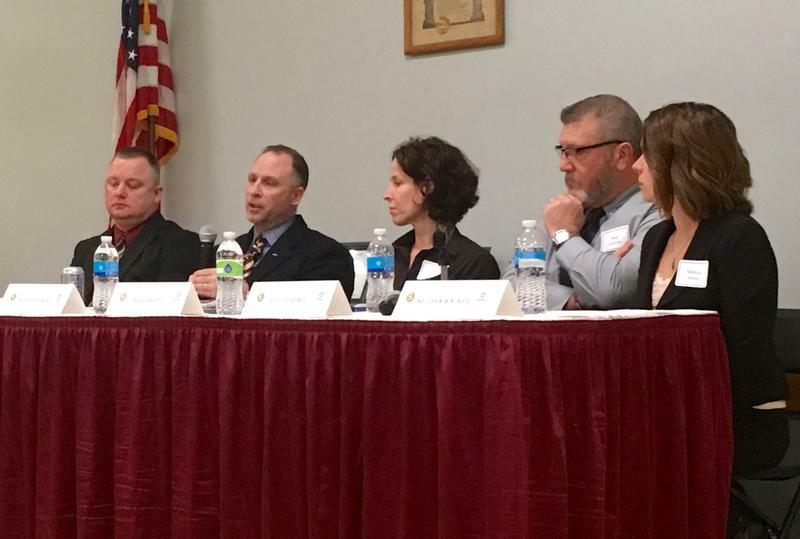 Opioid and substance abuse experts called for a community-based, comprehensive solution to the growing problem of opioid dependence in Linn County during a panel discussion Thursday. Hospitalizations for opioid abuse more than doubled in Linn County from 2015 to 2016. There were more than 870 hospital admissions in the county for opioid overdose treatment last year. Linn County Public Health statistics show the rate of opioid prescription-related deaths in Linn County is slightly higher than the state’s.